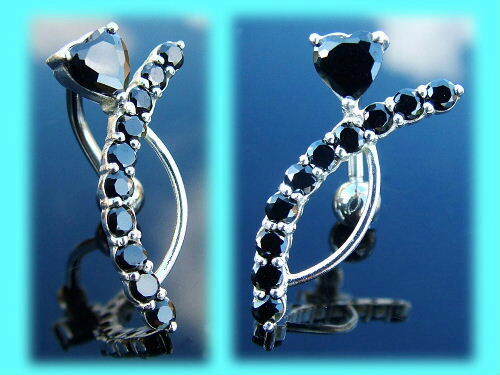 Elegant reverse belly bar with a small sterling silver heart and curve design which is set with black stones. The crystal set design measures 29mm x 20mm, with 10 small black jewels sweeping acrossd the centre. These inverted belly button bars are worn inserted downwards into the piercing. Powered by ShopFactory to sell P12564 online. All-in one eCommerce and online shopping cart software.